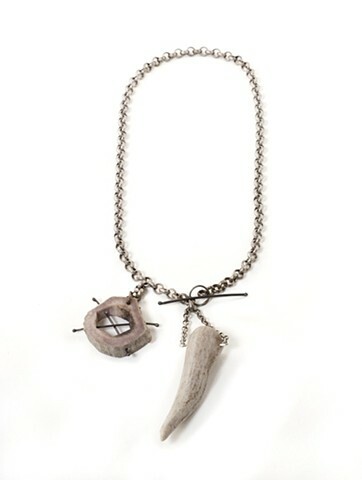 Tune into the forest with this naturally shed deer antler necklace. Accented with sterling silver on a chunky silver-plated chain, front clasp. Request shorter length if needed. Companion earrings and necklace coming soon!